"Beth, your talent and eye for style and design blow me away—always have, always will. I'm so proud to have your work on the cover and layout of this book. Thank you for your vision and attention to every last detail to make this book so gobstoppingly gorgeous." 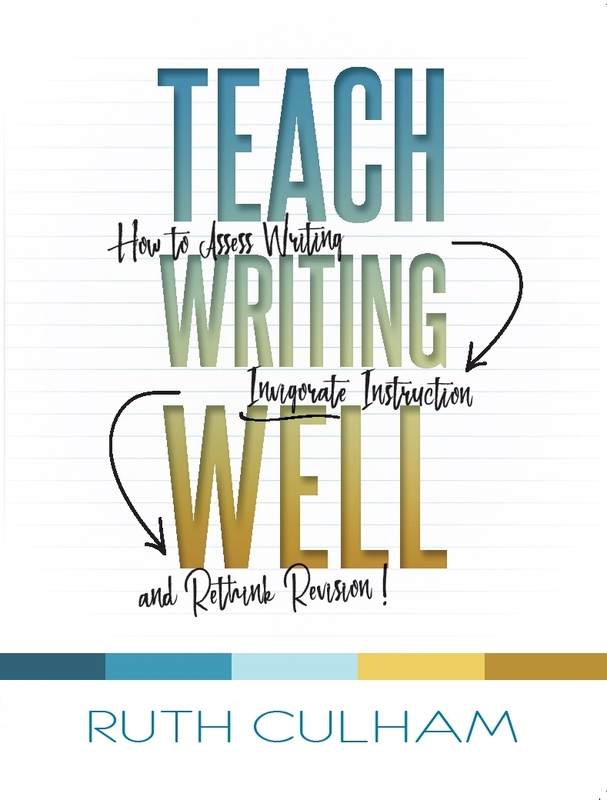 — ruth culham, on the release of Teach Writing Well, currently ranked No. 1 New Release in Elementary Education by amazon. "I had the great good fortune to work with Beth at a time when, besieged with deadlines that required immediate attention, she was able to fullfill an impossible pledge to transform our site from something deeply dysfunctional to something wholly operational. Not only this; her work was clean, crisp and beautiful. Despite the timeframe we gave Beth, she was clearly invested in understanding the nature of and context for Nevada County Arts Council, and made the process so very simple. I would wish this for any executive needing expert advice and design competency within a tight timeframe - but, unfortunately, it's not always what one gets. I couldn't recommend Beth highly enough." "Beth Ford is gifted with an eye for both vivid composition and subtle detail. She is able to use small, deft visual gestures to build a beautiful coherence of design. This, together with her extraordinary sensitivity to the written content of my book, made both process and end result of our work together deeply satisfying." "We first came across Glib Communications on a recommendation from another client. We were seeking a designer for book covers who would work with us to create inspiring, elegant designs. The process is collaborative the entire time. From concepts to revisions, our wants and requirements are addressed. Plus, Beth is wonderful to work with! The best part of receiving concepts is seeing something new that we never would have envisioned-—and that design then becomes the favorite! The result is stunning covers that really stand out on the shelves! Beth's approach incorporates the wishes from the authors with our own guidelines, which she then blends with her design ideas. Also a big plus for us is the communication throughout each project is easy and detailed." "Imagine being a writer collaborating with a visual designer. Imagine trusting that designer with your poems, with the responsibility of creating the book in which those poems will live. The designer ultimately creates a cover and interior art work so stunning and evocative and compelling, you could not—until seeing it—have imagined a setting more perfect for your work. If you can imagine this scenario, you’ll know what it’s like to work with Beth Campbell Ford." "I really appreciate how utterly reliable you have been through this whole process. I know that might be a strange thing to point out but you already know how much I love your artistic sense and I think it’s important to add that, having worked in groups and with others in many different guises, I appreciate how knowing someone is reliable removes significant amounts of stress. Thank you." "The Writing Thief was the talk of the conference. IRA had a big ad in the program guide and I had three sessions that were standing room only. I know they sold over 1000 copies on the spot—after my Writing Thief presentation, I signed books for over an hour which is unheard of for a professional book. The presentations were awesome. Laura’s looked great, in fact, I stopped and told them we were so lucky to work with a designer like you and they applauded how beautiful, easy to follow, and creative they were. Very cool. Several people told me they were buying the book for the cover!!!!" “Bravo to Imperfect Press for providing the exquisite vehicle to carry Backwards on the Train out into this world. Bound in boards, held in a title-plated envelope, this volume of eleven Dave Jarecki poems is a remarkably classy first book. — sarah mccartt-jackson, Kentucky poet, naturalist, and folklorist. "The Yuba Lit reading series has been beyond fortunate to connect with Beth Ford. Her alluring poster design elegantly conveyed the essence of the event: a warm, thoughtful gathering for a literary community. Beth is an intuitive problem-solver who finds solutions before you’ve even articulated the challenges. Her designs are as exquisite as her demeanor is gracious. How grateful I am to work with her." "Beth has brought so much to my business I can’t imagine where I would be without her. She continually proves to be a essential part of my company. Every time she produces a piece for the website or my product packaging my jaw drops at the insight and beauty she has brought to a rather challenging topic: livestock parasites. Beth also has extensive knowledge about internet identity and how to be successful at e-commerce. She really has my back on things I might have never discovered or known my business needed. " "WOW!!!! So much better than I could have dreamed. Will study these carefully and give you feedback tomorrow. I love it all (could we utilize everything?) You are the best." "Airlie Press underwent a significant period of change, from moving its home base from Monmouth, OR to Portland, OR to a change in the makeup of its membership, and in the spirit of that change we decided to update the look of the poetry books we published as well as the press itself. In a few short months of working with Glib Communications, our press has been revitalized and energized. We have a new logo, two beautiful books of poems with eye catching covers and attractive layouts, and new insights on how to promote our work visually. It was a risk changing direction in the midst of a host of other changes but this was a risk that has meant a flourishing of the press." "YOU'RE BRILLIANT. REALLY YOU ARE. I feel so spoiled to have your talents for this project. Thank you, this is perfect!"